Liverpool maintained their Premier League title bid by beating Burnley 4-2 at Anfield, moving to within a point of leaders Manchester City. City beat Watford on Saturday to open up a four-point gap and put the pressure back on Jurgen Klopp's side. That pressure seemed to increase when Liverpool went a goal down to Burnley early on, Ashley Westwood scoring direct from a corner. However the home side were soon level, Roberto Firmino scoring from close range though keeper Tom Heaton should have done better. Adam Lallana didn't score but he was best man on pitch. He had an outstanding game. 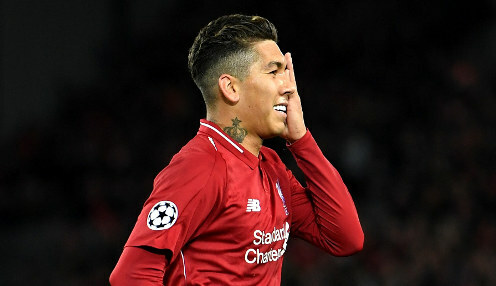 Sadio Mane gave Liverpool a half-time lead and they extended their lead to 3-1 when Heaton's poor clearance let in Firmino. Burnley threatened a nervy last few minutes when Johann Berg Gudmundsson scored in the first minute of stoppage time at the end of the game but Mane ensured the points went the way of the home side, rounding the keeper and slotting the ball home for his second and Liverpool's fourth. Lallana was making just his fifth start of the season but he played well, playing a part in his side's second goal and he was singled out for special praise by Klopp afterwards. The Liverpool manager also referred to the weather in his post-match comments, the players affected by strong winds and hailstorms at Anfield. Klopp told the BBC: "We played our game. The first Burnley goal was maybe a little bit of the wind. In most countries it would not be allowed that goal. You cannot treat the goalie like that in the six-yard box. "At 3-1 up all the balls Burnley got were from us. I'm completely happy with the performance - especially against Burnley. Nobody gets rid of us." Having kept themselves firmly in the title race Klopp's team will attempt to stay in Europe in midweek when they take on Bayern Munich in the second-leg of their round of 16 Champions League tie, the teams having drawn 0-0 at Anfield. Liverpool are 14/5 to win the tie on Wednesday night with the German champions 21/20. Liverpool are 5/2 to win the Champions League this year with Bayern 12121/1 and Manchester City 1212/1.